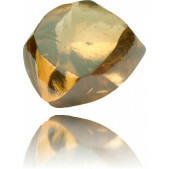 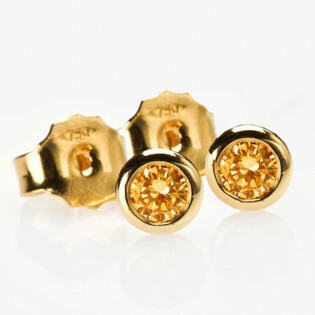 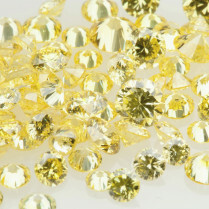 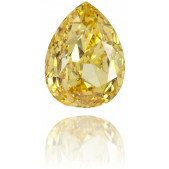 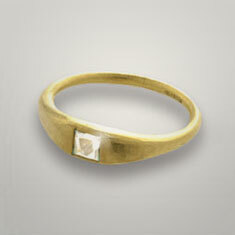 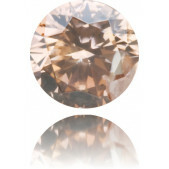 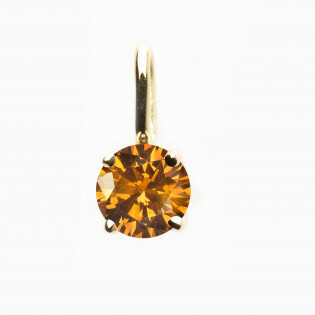 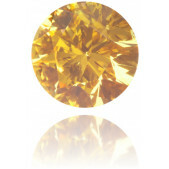 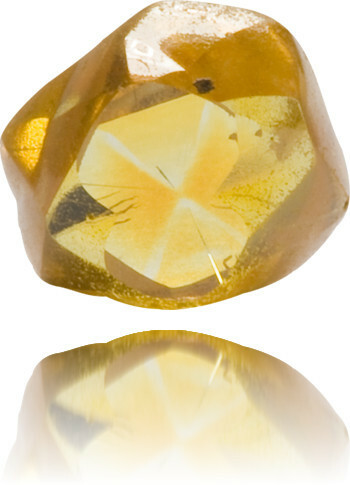 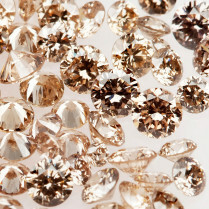 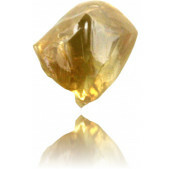 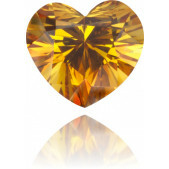 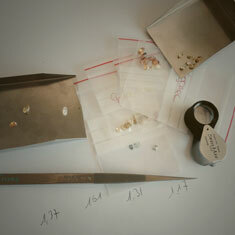 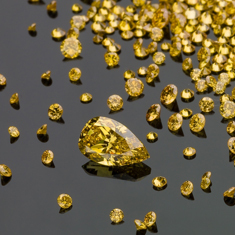 Stylish 1.08 carat, fancy brownish orangy yellow diamond, rough and can be certified on request. 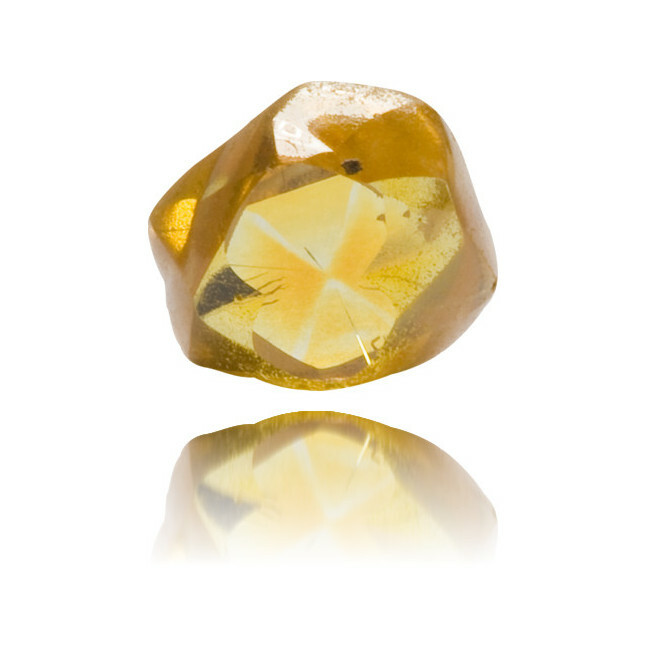 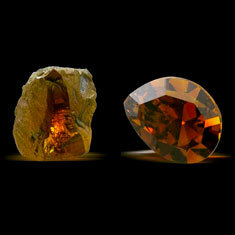 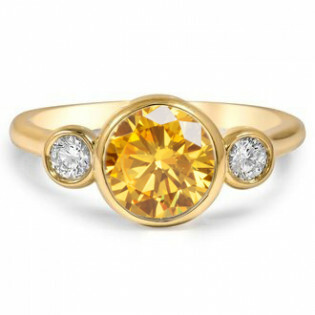 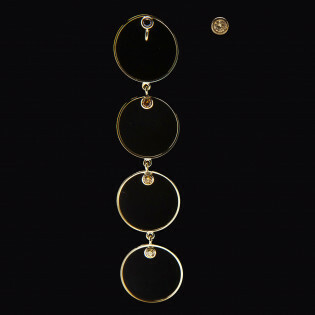 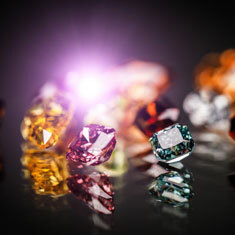 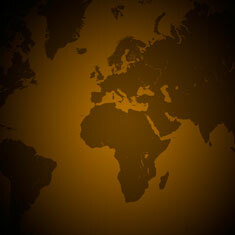 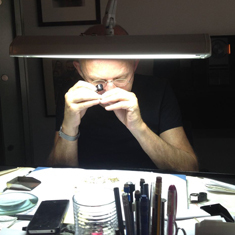 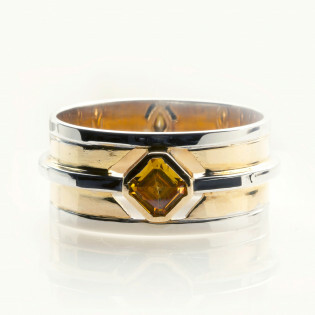 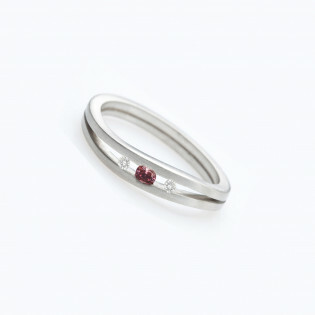 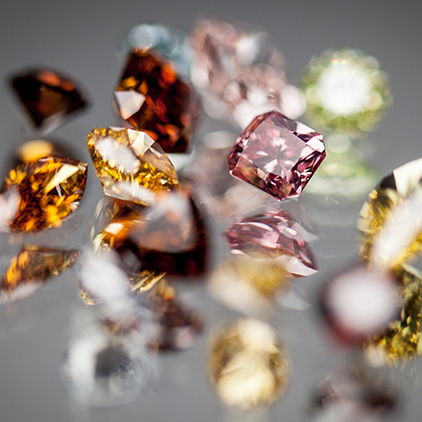 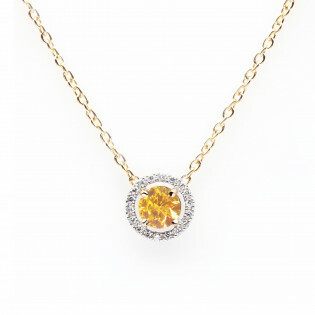 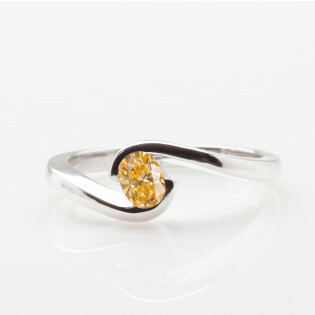 When you look through the polished facets, you will notice an orange Cross of Malta. 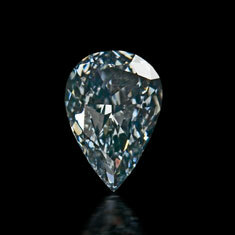 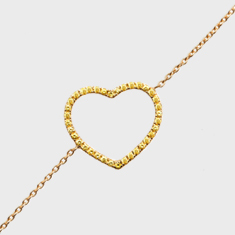 This is almost never seen in a diamond.